This research was supported by Economic and Social Research Council (ESRC) Project Grant ES/J013056/1. 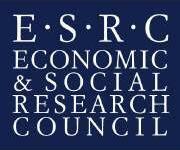 It is one of 12 projects in the Rising Powers and Interdependent Futures ESRC Network. In a changing world order, a better understanding of the different ways that states try to manage violent conflict is increasingly important. This ESRC-funded project examines the divergent responses of Russia, China and the West to outbreaks of armed violence in post-Soviet Central Asia as well as exploring the local politics of managing conflict. A total of 13 researchers and research assistants have contributed to the project and are acknowledged in publications or included as co-authors where this is possible on safety grounds. An international advisory board of seven persons includes persons from Central Asia Russia, China, the US and the UK, including ExCAS associate Anna Matveeva. What are the Consequences of the South China Sea Dispute for Central Asia?